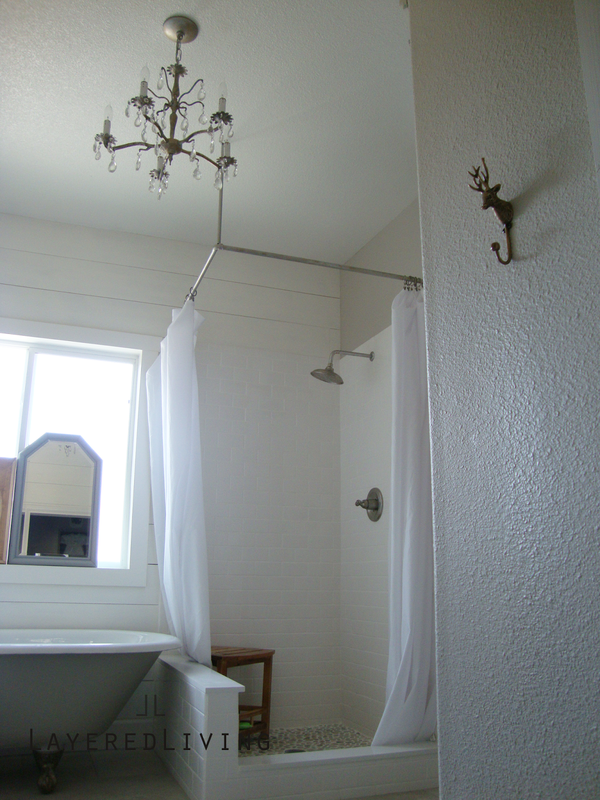 Here is my master bath that I tackled all by myself "Hubby did help me with the heavy stuff though." This all happened less than a year ago. This was by far the best, learning experience I have ever had. 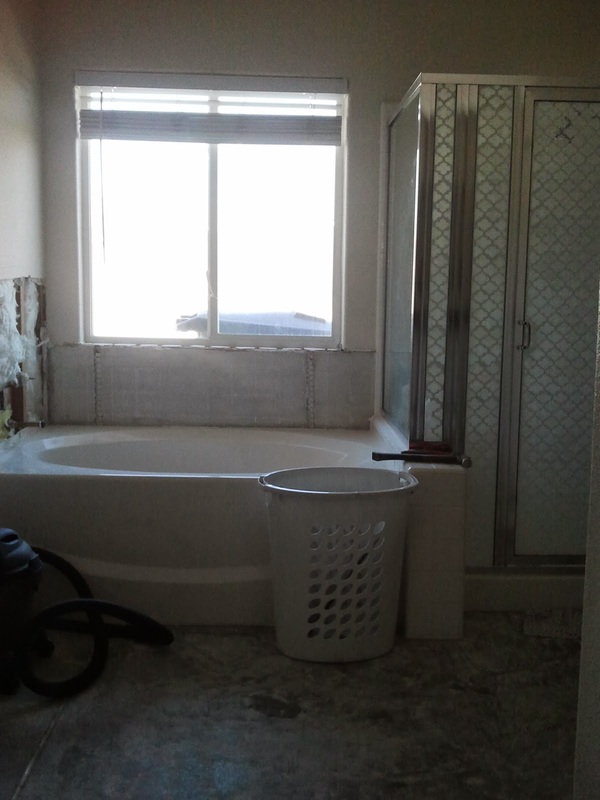 This was the before a basic builder home bathroom, I wish I could find my photos of the opposite end of the bathroom. Believe me your not missing much it was just ugly. So here is my new beauty and a list. I added a wood top to raise 1", for inside clearance of plumbing. Delta Faucets from Lowes purchased a while back. Mirrors from Lowes, they were dark and have been painted Behr Oyster. I used original white sinks from the old vanity. Light Fixture Polished Antique Nickel Hinkley, I love love this fixture very well made. 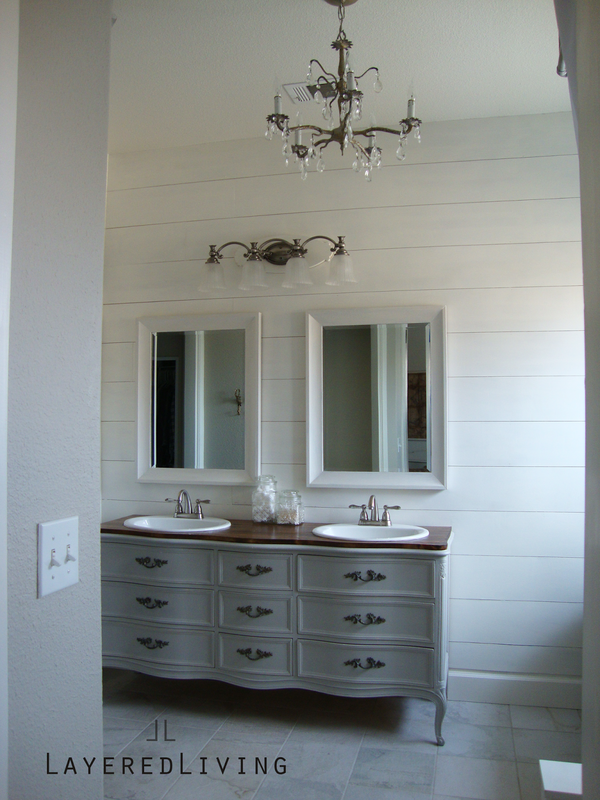 The walls are wood plank stripes, cut down to size 8" stripes from lowes 8mm underlayment. Planks are painted Behr Swiss Coffee. I actually have used this all over my house for base boards and trim. 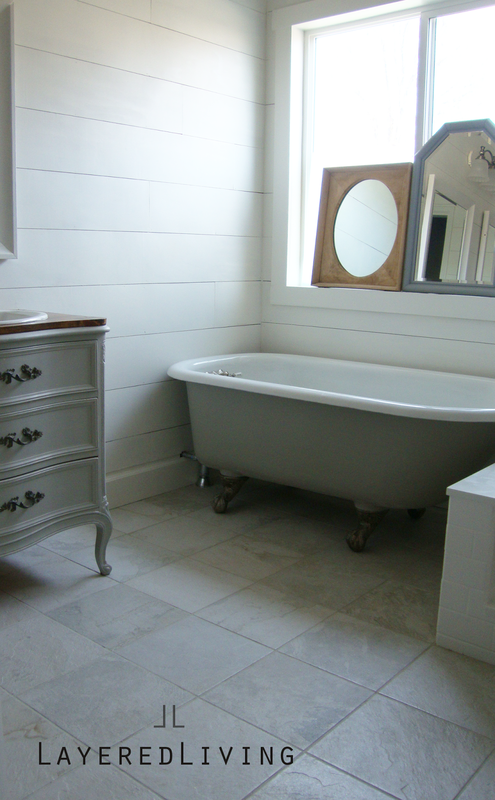 I found this Cast iron tub on craigslist for a great deal it was also in great shape. I had to sand the outside of the tube to remove rust, then primmed and painted. The Inside porcelain was in great shape, all I had to do was clean with basic bath clean products. White subway tile from Home Depot. Quick Pitch pre slope system, this gave me the perfect slope. In removing the old insert I gained 6 feet around. Awesome! 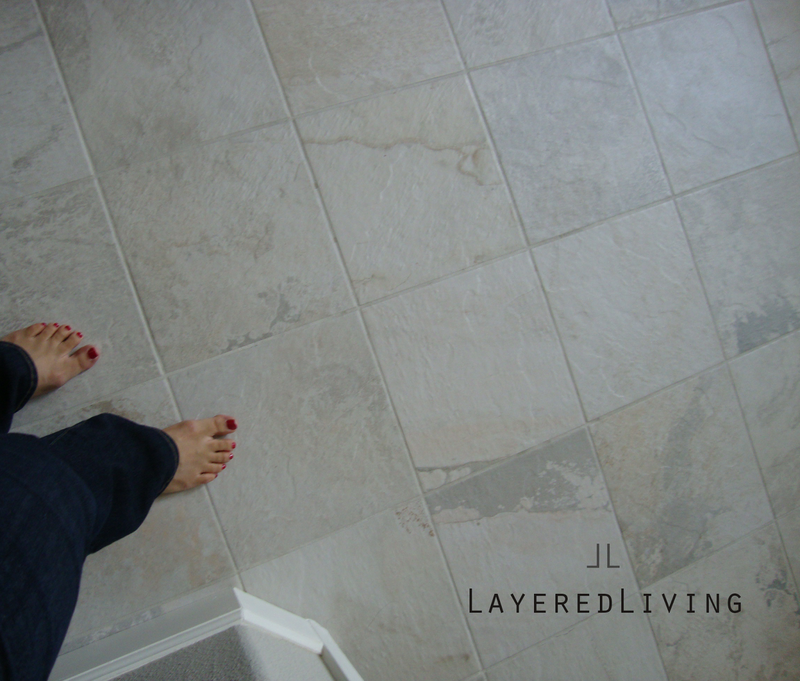 Flooring is Pebble Tile with Snow white grout. Rain shower head is from lowes. Shower handle is a Delta series. Shower arm was a fantastic deal off of Ebay $10.00. I purchased it knowing it was chrome, so when it arrived I gave it a very light sanding with a green scrubbing pad and viola, a perfect satin look. I made sure I sanded in the same direction to give a even look. 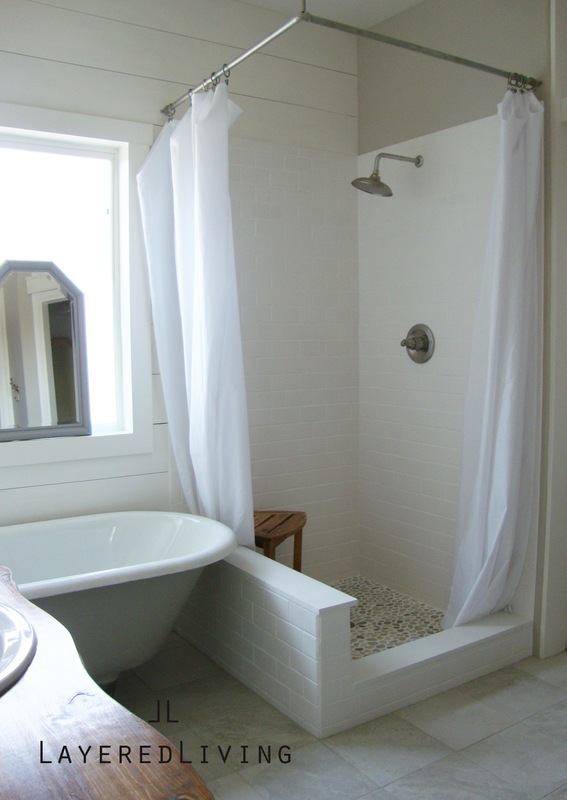 The Stone is a long quarts back splash, that I cut down to size and placed as my entry shower top. The tube hangs over the ledge by a inch and if I ever put glass. I have more than enough room to place it. I have also gained 4.5sq feet by the tube. 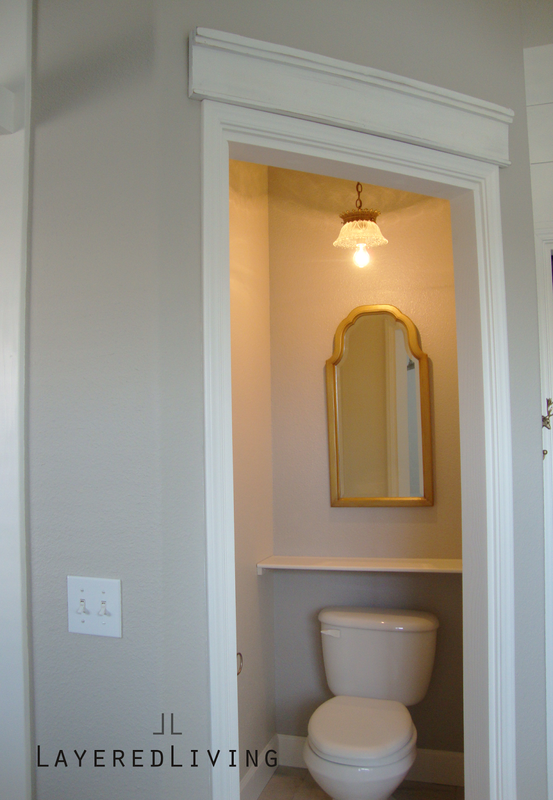 Plus by removing the old vanity, I gained more square footage around that area too! Shower curtains are from Amazon and are much longer than your normal curtains. Curtain rings are basic curtain rod rings purchased at Target. Shower rod is made out of copper rod. I soldered brackets to the rod on all three ends. This allowed me to screw them in to the ceiling and walls. As you can see its not copper anymore, I gave it a light brushing of silver paint.